Badminton Malta will be organising a coaching course for all those who are interested to start coaching the game of badminton or those who would like to continue consolidating their skills to teach badminton effectively. The course will be organised between the 26th-29th July at Kirkop Sports Complex. 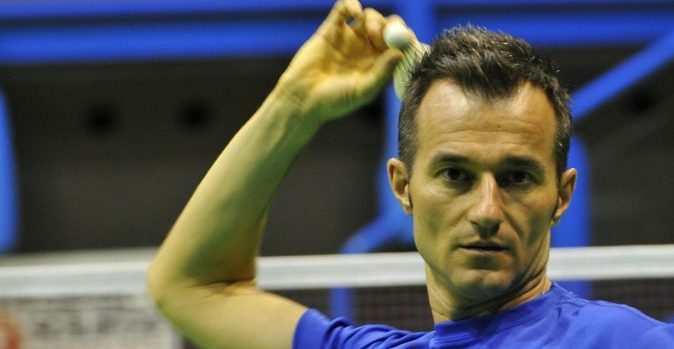 The course will be conducted by the Federazione Italiana Badminton Development Technical Director Fabio Morino and will be based on the ‘Vola Con Noi’ (Fly with us) Course which is currently implemented in Italy. The times will be Thursday: 4-9pm Fri: 4pm – 9pm Sat 9am – 6pm Sun 9am – 4pm. This course will be one of the courses that will be recognised in the Local Coaching Qualification to be implemented gradually by Badminton Malta as part of the badminton local coaching education system that will standardise the levels of coaching in Malta, from foundation to Elite coaching and will be combining technical badminton related courses and a generic coaching fundamental course offered by the University of Malta Institute of Physical Education and Sport. Gradually these coaching levels will be implemented and it will be obligatory to have coaching qualifications to be an official coach. The details of this coaching structure can be found here. The course will cost only €50 as it will be heavily subsidised with the Assistance given by SportMalta and will include a small snack during the break. This is a very important step as part of the long-term plan that will result in more and better coaches. To book please send an email with your Name, Surname, Mobile number on gensec@badmintonmalta.org. Booking will be confirmed upon payment and all bookings should reach Badminton Malta by the 19th July.